Book | MSU Press | Musho! In Musho! Zulu Popular Praises Elizabeth Gunner, an authority on Zulu literature at the School of Oriental and African Studies at the University of London, and Mafika Gwala, a South African teacher and poet, have translated, transcribed, and annotated a wide variety of Zulu izibongo poetry. In so doing, they have revealed the incredible breadth of this traditional genre, which is usually equated with nineteenth-century epic traditions that celebrate the deeds of Shaka and the successor kings of his Zulu monarchy. 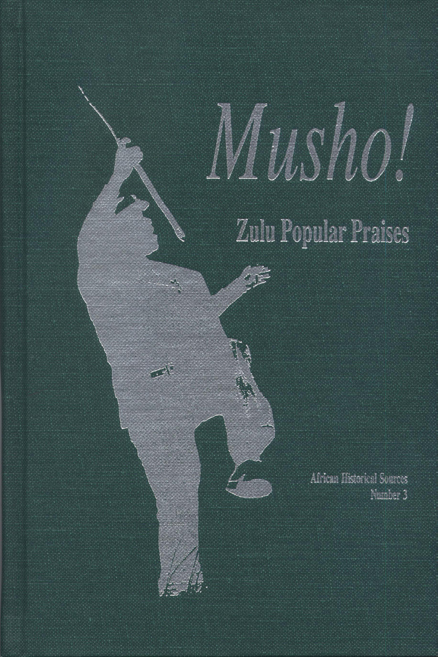 Musho!, with its extensive historical introduction, and literary commentary on Zulu poetry, is a major contribution to the field. Liz Gunner has written widely on African orature and literature. She is professor of English studies at the University of Natal, Pietermaritzburg. Mafika Gwala is a South African writer and editor.